Below are resources for exploring the possibilities of the flipped classroom, professional learning networks where educators are discussing blended learning and reverse instruction, and tools for designing your own flipped language classroom! What? 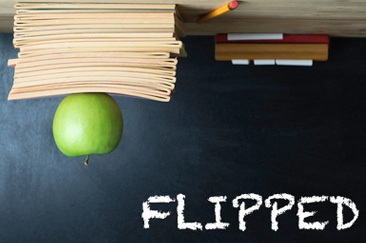 Flipped teaching is a form of blended learning which encompasses any use of Internet technology to leverage the learning in a classroom, so a teacher can spend more time interacting with students instead of lecturing. This is most commonly being done using teacher-created videos that students view outside of class time. It is also known as backwards classroom, reverse instruction, flipping the classroom, and reverse teaching (accessed on Wikipedia 11/11/12). BLOG: What does a good flipped class look like? PowerPoint: "The Flipped Language Classroom"